As a member, you know better than anyone the role that the National Environmental Health Association has had in expanding your professional community and advancing your career. Now is your opportunity to use your experience and network to help NEHA grow. 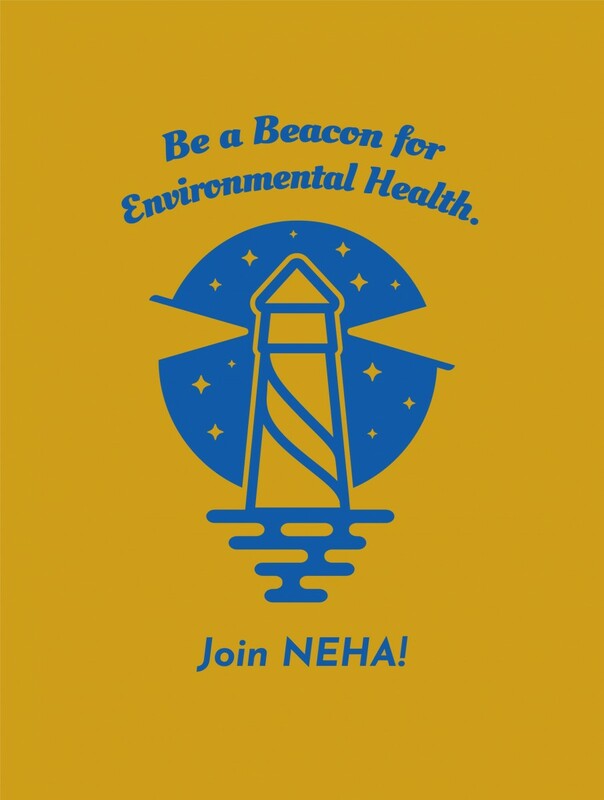 Strengthen the environmental health profession by being a beacon of light for NEHA membership! NEHA membership growth means greater prominence for environmental health professionals, more resources for members - including you, and a larger community that you can tap into for support, collaboration, and friendship. In addition, NEHA will send every eligible person who successfully recruits a new member a beautiful NEHA Beacon pin as a symbol of appreciation for their commitment to the environmental health profession. The lighthouse on the pin is inspired by the association’s original 1930’s logo and represents NEHA membership as a beacon of light for environmental health. The top five recruiters will receive a ticket to the 2019 UL Event at the 2019 Annual Educational Conference in Nashville and be honored during the event. Only current NEHA members are eligible to participate. Valid for new memberships received between January 15, 2019 and June 15, 2019. Not valid for renewals. Only new memberships qualify for credit. To receive credit the new member must enter the referring member’s name during the online membership application process. Every member who successfully recruits will be recognized on the NEHA website. Listings are updated monthly. The top 5 recruiters will be announced via email and social media at the end June 2019, and then honored during the UL Event at the AEC. Know the benefits. The more familiar that you are with the many benefits of NEHA membership the better equipped you will be to discuss them. Remember why you first joined and how NEHA has benefitted you! Make it personal. Offer authentic examples of your experiences being a NEHA member- the opportunities that it opened up, the knowledge you gained, and the connections you made along the way. Feel free to personalize the sample email above. Ask questions. Inquire about their career goals, challenges, and the resources they need to be successful. Based on their answers, highlight the NEHA benefits that will be of greatest value to them. Provide a call to action. After discussing the value of membership, and your experiences with the NEHA, share the link to join online! Remind them to enter your name in the referral field when joining. Follow-up. Check back in a week to inquire about whether they’ve joined and answer any additional questions. If they haven’t joined, this follow-up can serve as a friendly reminder. Utilize the sample follow-up email above. Use social media. Take advantage of the social media graphics provided above to post regularly to your Facebook, Twitter, LinkedIn, and Instagram pages about NEHA membership. Use the hashtag #NEHABeacon. Email isn't the only way to spread the word! Say thank you. Let them know that you appreciate them taking the time to consider NEHA membership.